Address: 2740, Abony Vasút utca 16. 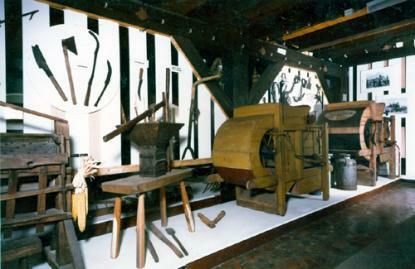 The Lajos Abonyi Village museum of Abony was founded in 1959. Eight years passed by the time the Mayor's office could provide a building for the collection, which was first presented on 18, November, 1967. Our aim was to show the tools of the trades along with the tools of the farming of the homesteads that are continuously dying out. We wished to honor over half a thousand beautiful homesteads and the assiduity of the families living there.